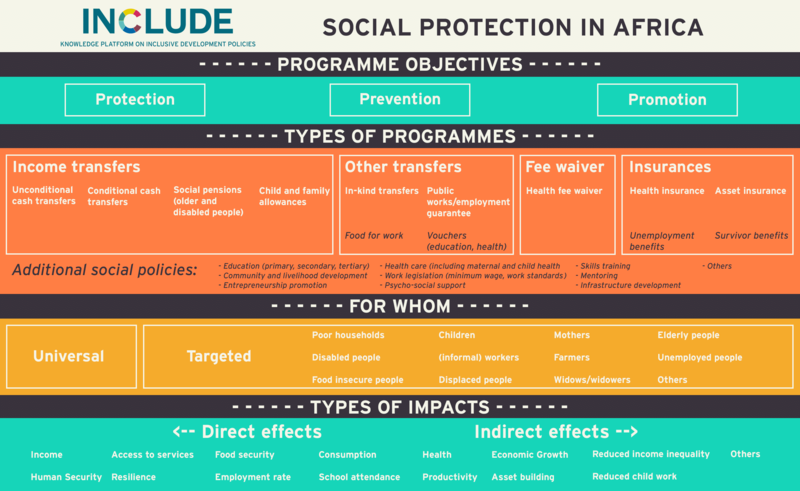 Social protection can contribute to achieving inclusive development in Sub-Saharan Africa in many ways. However, national governments are often reluctant to introduce comprehensive social protection programmes as these require a reallocation of resources and are often considered as too expensive. Evidence-based knowledge about the anticipated effects of these interventions on inclusive development is needed in order to trigger commitment for social protection interventions among political elites.